We live in a period of elections in Belgium. You will have noticed on TV or in the streets. Some of you will have the opportunity to vote, others won’t. But you can influence the elections and Belgian politics anyway, through the power of prayer! Our country needs it desperately. It’s far better for us to pray for our politicians than to complain about them. 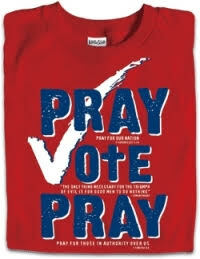 Since 2003 “Pray4belgium” has organized a prayer action during the week before the elections (7-14 October). Below you can find a list with prayer subjects. Could you forward this e-mail to other Christians and intercessors? Or print it out and copy it for your church members? You could be a big blessing for our country! Let’s believe for a spiritual change!